Use Assistant – enable assistant. Use Short Commands – enable using short names of commands, when disabled, full command names are displayed. 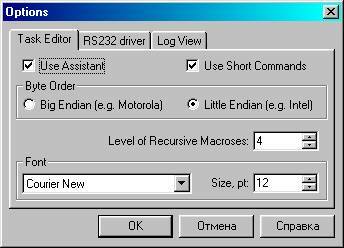 Little Endian –send in format WORD.